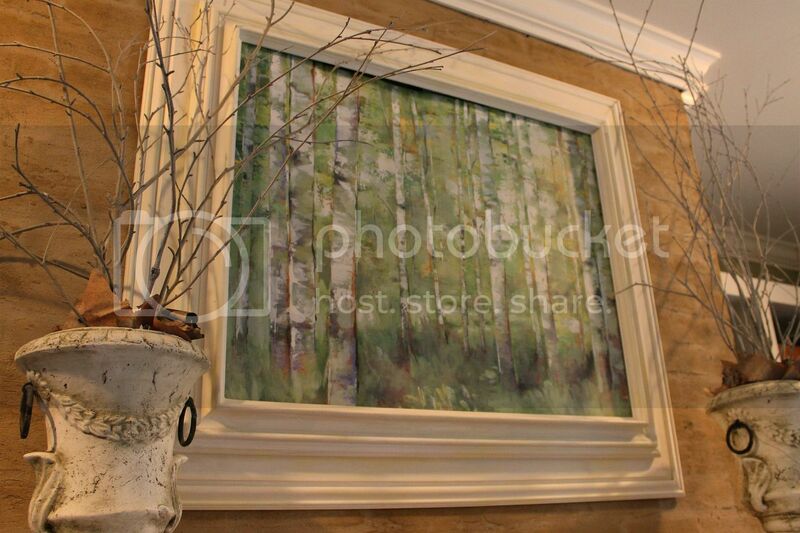 Want a change of scenery over your mantle or other area of your home but don't have the budget to invest in a new painting? 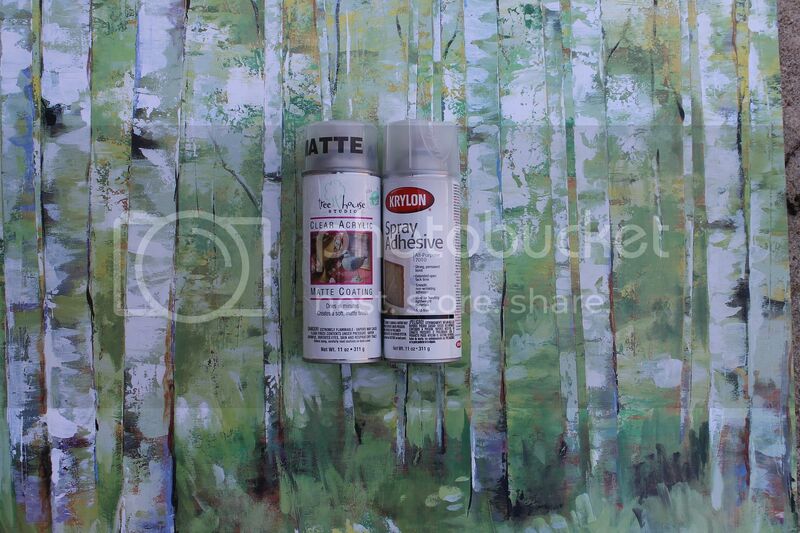 Here's how you can make a faux painting by using an art poster/print. Select a print that fits your size requirements. off to make it look like a painting so keep that in mind when selecting a size of print. 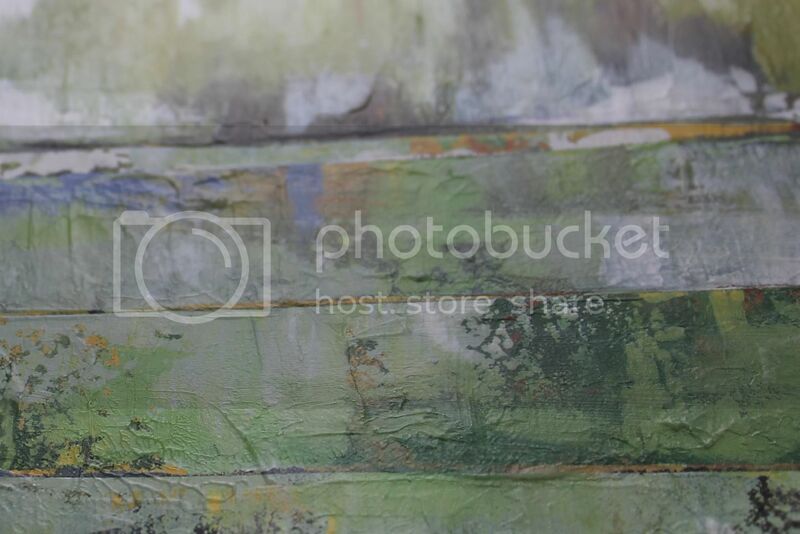 a painterly look to it with visible brush strokes. Cut a piece of foam core board to fit snugly inside the frame. Cut the print to be the same size as the foam core. Attach the print to the foam core with spray adhesive. When that is dry, spray the print with a clear acrylic sealer. glue would produce. Spray adhesive can be a mess...I always do it outside. Wait for a low humidity day to do this step. The sealer also helps to keep the print from wrinkling when the gel medium is applied. (found in the artist section of craft stores or in art stores). Put the medium on in the same direction that the brush strokes on your print are going. If your print does not have a brush-stroke look, apply the medium as if you were painting the objects on the print, following the shape of the object with the brush to create stroke looks. 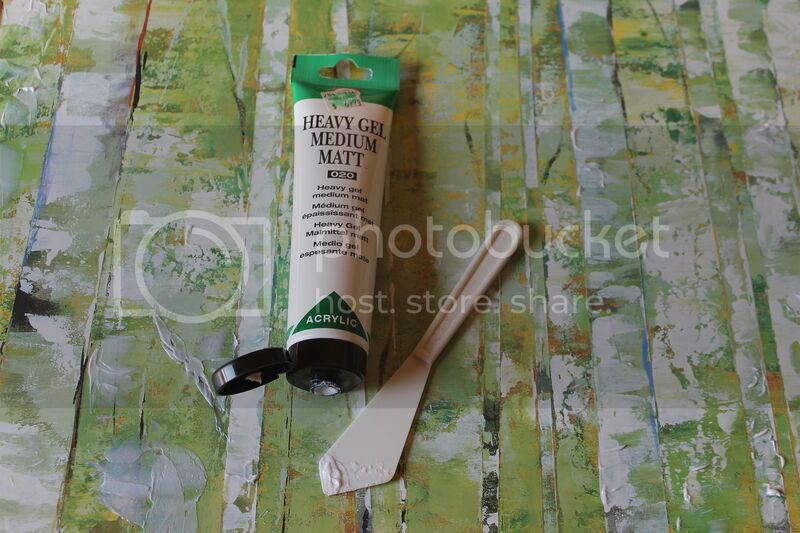 You can apply the matt medium with a brush or a pallette knife. brush strokes. 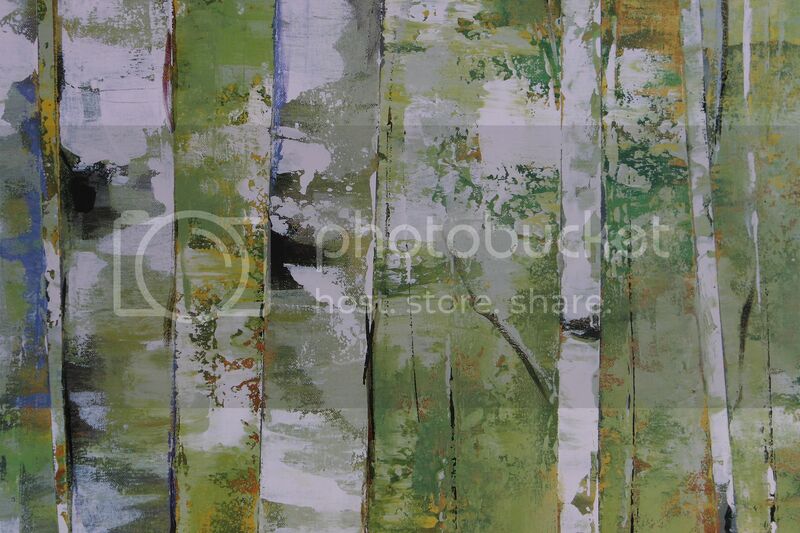 I think the artist of the print used a pallette knife to paint some portions of the original. You can build up layers of the medium, letting it dry between coats. It's a personal preference how much/how thick you want the medium to be. too thick (for my taste) and in a haphazard brush stroke manner that did not look real at all. of the background goes well with my wall color. 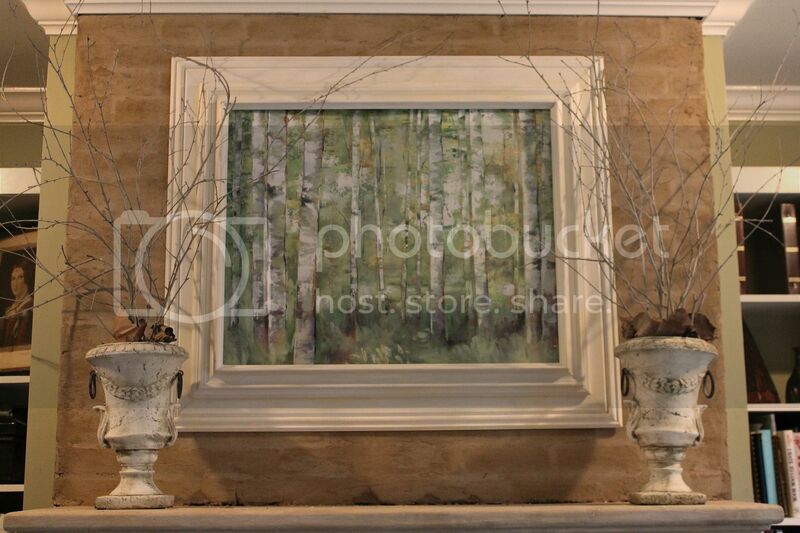 birches to add to the white urns on the mantle. taken recently of the beauty of branches. The frame that they birches are in was once brown and smaller in width. It was on a (real) painting but it looked drab. 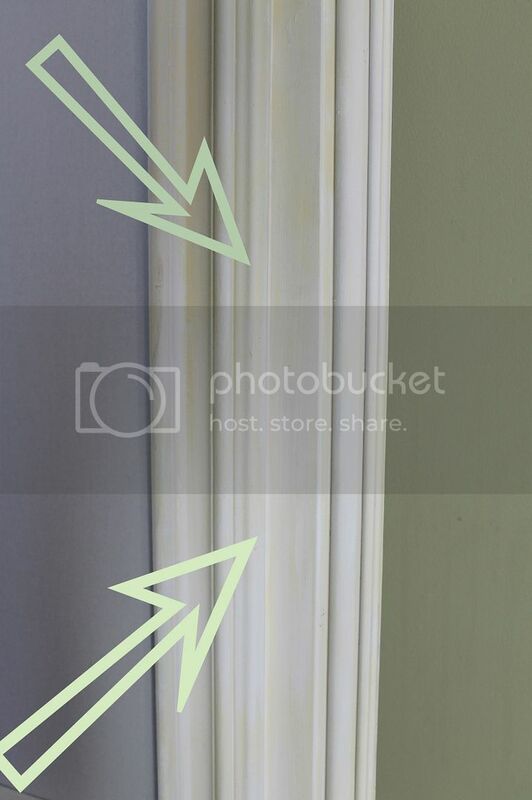 To brighten and widen it, I painted it a couple of shades of white and added some moulding to it. 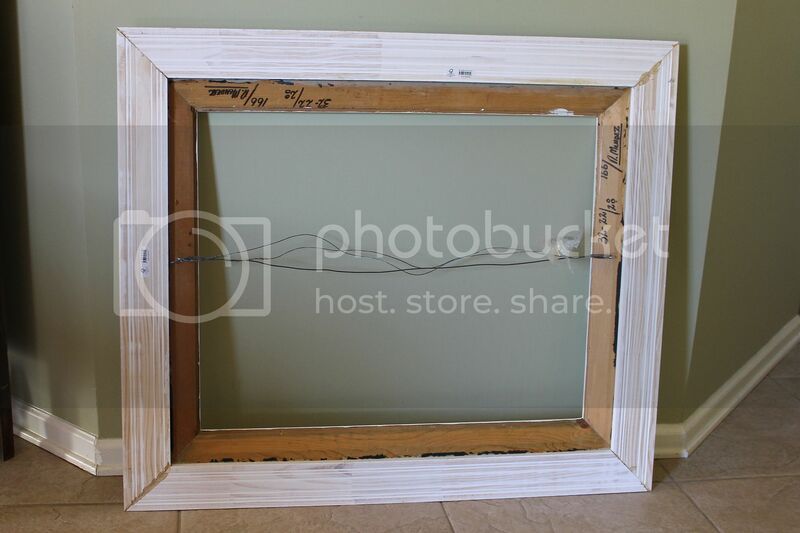 used construction glue to join the miter cuts together to make a larger frame. Then the larger frame was glued onto the back of the brown frame. the old and new parts of the frame. Wood putty and paint can cover a multitude of sins. Good job, I like the print you chose. I agree after Christmas I almost want a bare look too. That is beautiful! 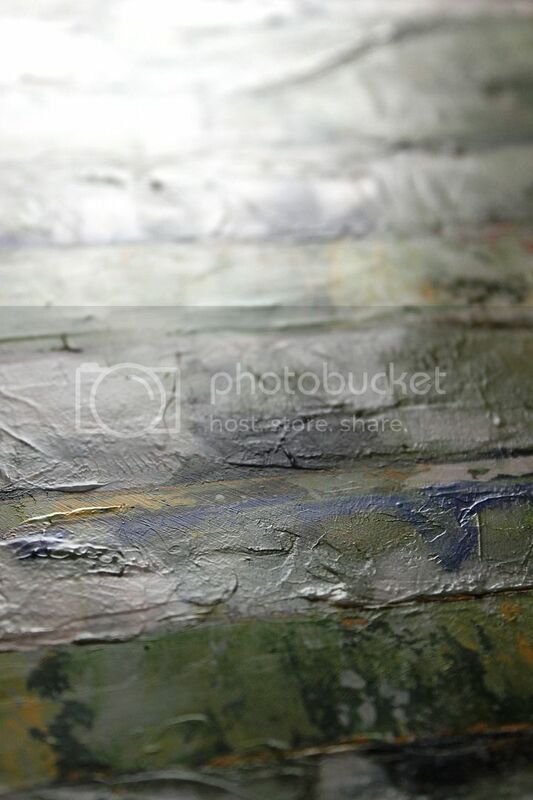 I love the colors and the texture. Absolutely beautiful!! 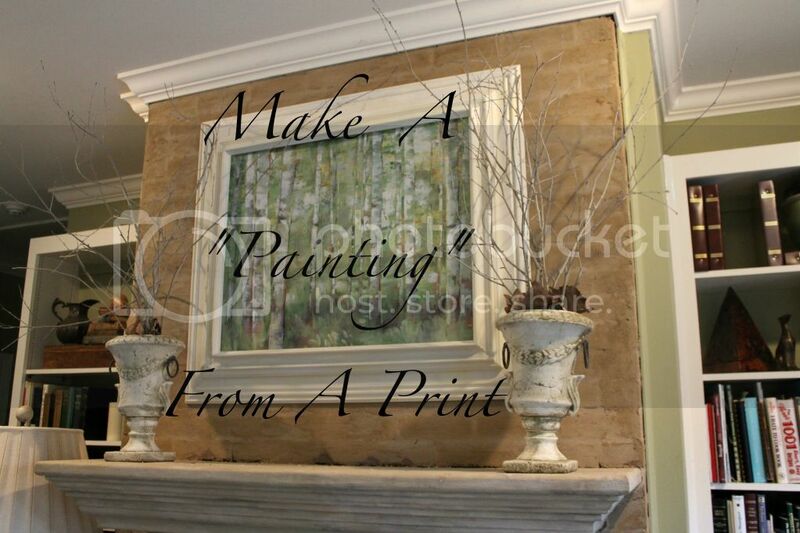 LOVE the look you created on your mantel! Very cool idea~ I love it! Have a great weekend. This was so interesting ... I've transferred prints on to canvas before, but this seems so much easier. Great job, and great tutorial! You chose a wonderful print for this project! 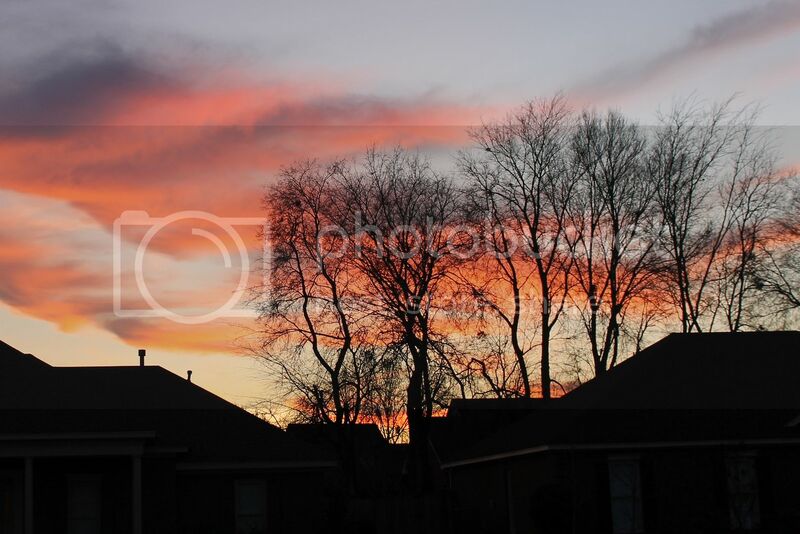 It is very "painterly" indeed! 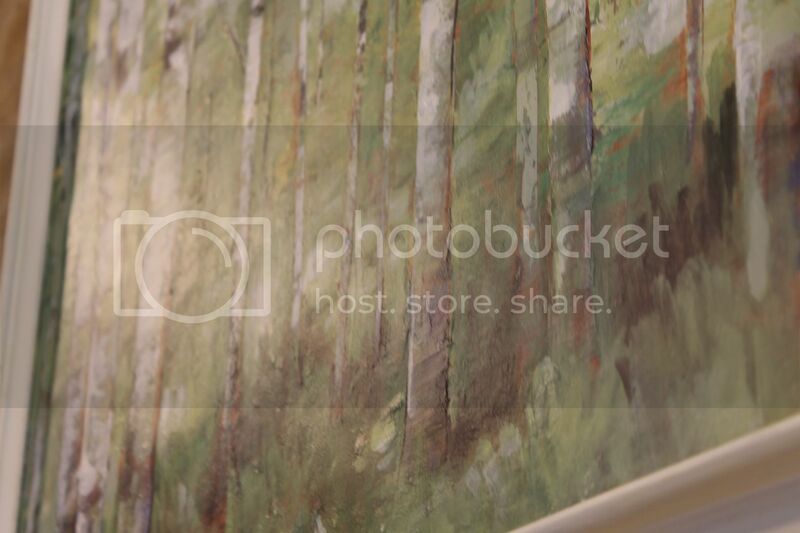 Thanks you for sharing your project and your beautiful photography at Potpourri Friday! I was skeptical at first until I read your whole post. Now I think this is fantastic and it looks great! Thanks for sharing. I will have to look at some more of your creations. Your "painting" looks so real. I love this idea! 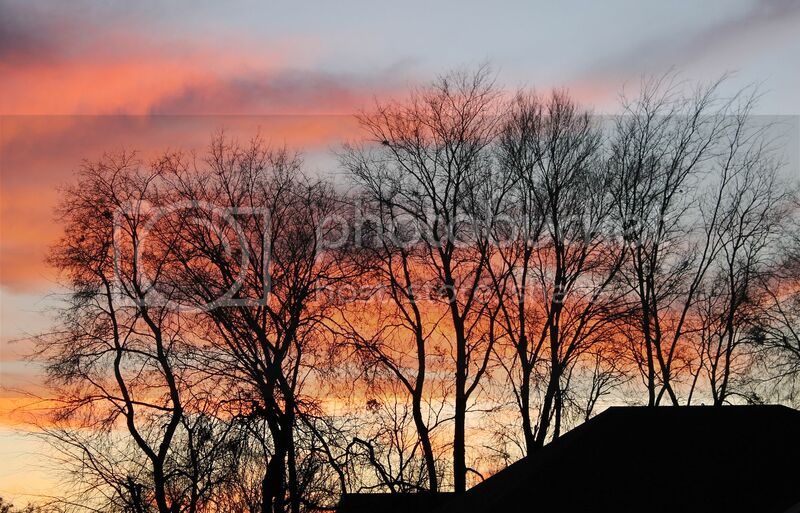 thanks for linking up to Make it monday! Just shared it on the Brassy Apple FB page! Love this idea and certainly going to use it. 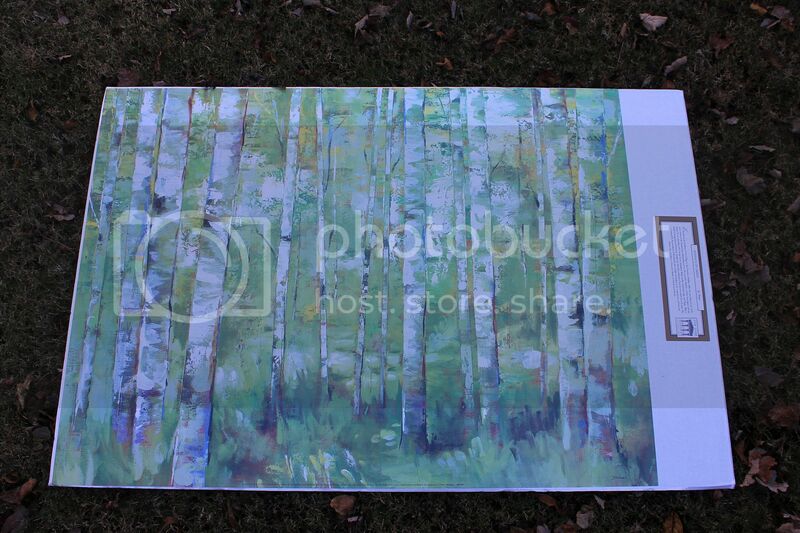 The birch tree painting/print came out gorgeous. What an incredibly unique idea!! I have never seen that done. I love the results. The birch trees are beautiful!! Such a smart idea! I can't wait to give this a try. What an inexpensive way to create art. Wow! That was fantastic! What a nifty idea, I'm so glad I dropped by! I also share your love of bare winter branches against the sky - lovely! You are a genius! I am so doing this, I loved the idea for making the frame nicer too. I love the way you "fixed" this print. 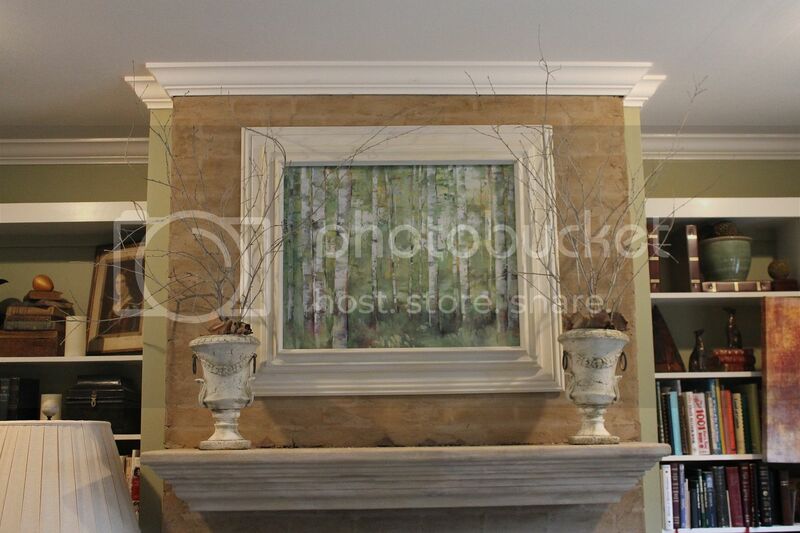 It looks gorgeous above your fireplace. Thanks for your sweet comment on my blog. Following you back! hi Miss Kitty ... love this picture. Thanks for the tutorial, I would love to try that. That is the coolest thing ever! I love how it turned out. 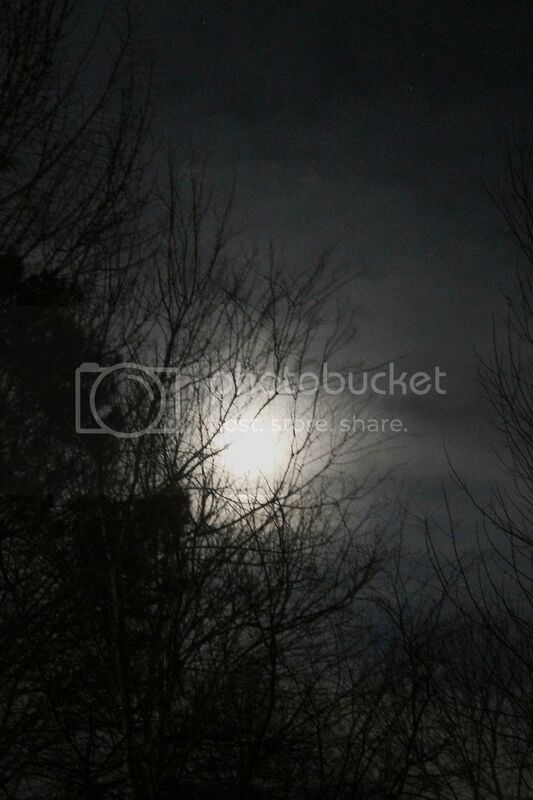 I've always wanted to try this, either from a picture or a print. Thanks for sharing! It looks great! Nice tutorial, Thanks! Wonderful idea! I just pinned this. Thanks for the inspiration. Cool project and informative post! What a wonderful idea! The print you chose goes so nicely in your space. What a wonderful idea!! This is one project I'm definitely going to try! I'm thrilled to have found your blog & just became your newest follower! Genius!! Fab idea. Thanks for sharing. OMG ... Brilliant. 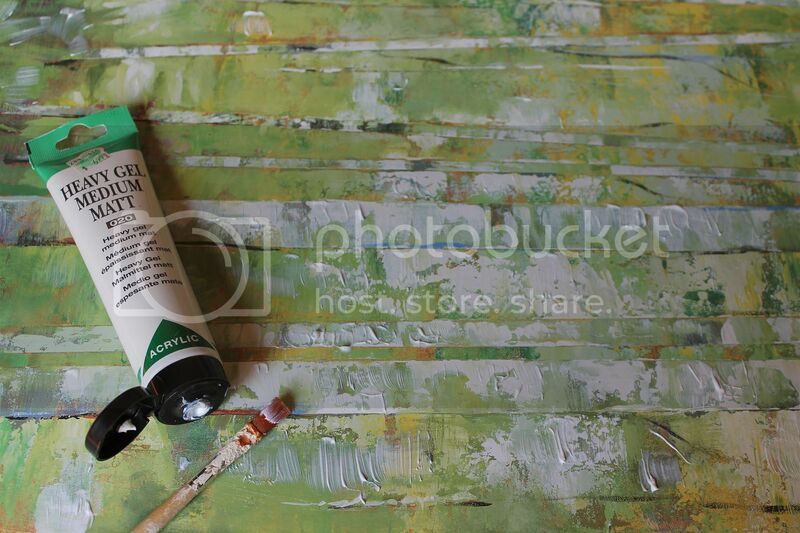 an oil painting for less! I just saw a pic of yours on Facebook, so had to come over and take a look at your blog. Im enjoying it so that I've just become a follower. Please come visit me at PICKINandPAINTIN.blogspot and maybe you'll follow back. THANKS. How have you dealt with any potential bubbling or peeling? I usually just get the picture printed straight to the foam core. There are a lot of service, I use this one. Basically, rather than having to mount it yourself you can just get the print directly and not have to worry about peeling or anything! I know I'm late to this party ... but what a genius idea! I was admiring your painting in another post and noticed the sidebar link. Love it! Well, now I feel dumb. 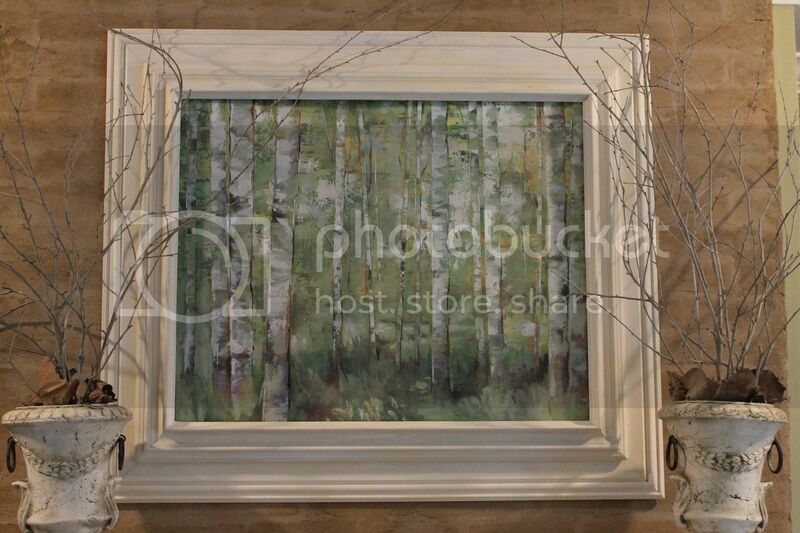 I asked in an earlier comment today if you had painted the painting above your mantle. Now I've gone through some of your blog today off and on, and just seen this post. Now I have my answer. Very neat trick that you did painting on the poster to make it all "your own". I never would have thought of that. I found this a couple of years after you posted it! The hard part was the gluing. I ended up using those butterfly clips you use in an office to attach the bottom part of the poster to the foam board after I got it line up prior to gluing, folded over the poster (pulled it back), applied the adhesive and then rolled the top 3/4 of the poster over it, rubbing out any bubbles. Then I unfastened the clips at the bottom, lifted the bottom portion of the poster, applied adhesive to the bottom 1/4 of the foam board and pressed the bottom of the poster on to it. I am a horrible painter, so after I applied the matte gel, I just wadded up a light weight plastic bag and dabbed it all over. It didn't give me the brush strokes, but it did provide a nice texture. I hopeless as a painter. 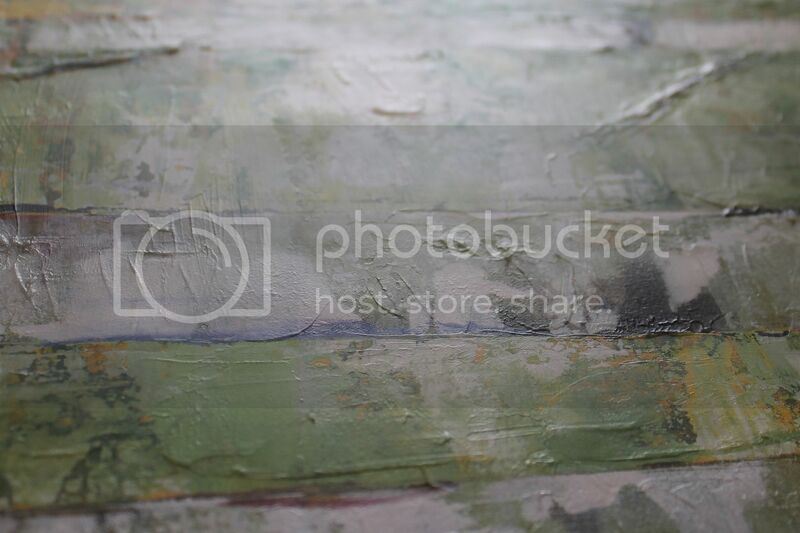 Quick question for you, Do you know how to approach turning a print into a cracked/crazed effect old painting? I have a cool print of Marie Antoinette that I want to do this to. I'd like to make it look like something old hanging in an art gallery! Love what you did to the tree print by the way! Hello! I am in the middle of recreating this beautiful project, but there are a LOT of acrylic gel options...would you please share the brand of the one you used? it seems they are not all created equal :) thanks!! What a fabulous idea to create beautiful large-scale art inexpensively! You are so smart to think of this technique.